Why we need IoT and Mobility for Healthcare Industry? With the expansion of Internet of Things (IoT) and mobility what we are witnessing today is the transformation of across industries. However, it is the Healthcare industry and its additional elements such as Health care IT companies and Healthcare IT services providers that are leveraging maximum benefits out of these technological advancements. And they are bringing new possibilities of patient care. 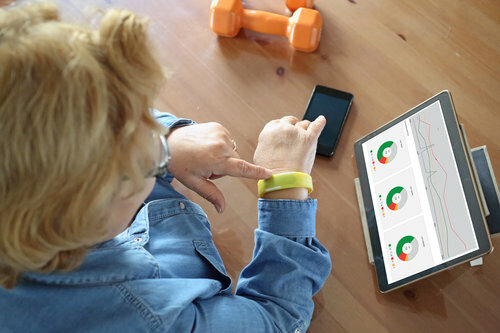 Healthcare IT companies are creating integrated platforms that expedite the accumulation of data from a broad range of wearable’s and applications connected to the medical devices. These platforms also foster real-time engagement with patients and empower healthcare organizations to generate actionable insights on each patient and his health. This is very much required in the healthcare industry as they provide care to the elderly and disabled. To maintain a healthy and safe living of elderly diagnosed people or disabled patients, a system is required that can monitor their daily activities. A mobile and IOT based healthcare platform can help in tracking and checking patient essentials, providing custom-made tips, reminders and giving educational content on medical conditions in a pre-emptive and timely manner. Healthcare management software is one of the main application areas of persistent computing and biomedical applications. The most typical use a healthcare service provider might get from it is to get emergency medical support within few hours of any life-threatening health incidence. The healthcare industry is today utilizing mobility and IOT in providing better care and means to connect with patients and attend them on a real time basis. In this blog we shall put some light on how mobility and IOT lead healthcare includes the convergence of mobile, cloud, devices and social media to enable all the entities, like patients, hospital staff and healthcare providers to access information more easily and improve the quality of care and outcome. Devices: Wearable technology as we all know is the latest trend that helps track the patient’s health on a real time basis. This is done by sharing of data. With developed connectivity and monitoring anytime and anywhere patients can wear monitoring devices throughout the treatment phase, transmitting critical information readings on a continuous basis to the concerned physicians. Connected healthcare solutions are basically context-aware systems that restructure multiple aspects of healthcare as well as to help improve patient care. Mobility: IOT in the healthcare landscape has the full potential to enhance productivity, enhance respond rates, and amplify data access and communication. There are many ways or shall we say specific ways that this technology has become popular. Also, it has benefited the industry over the past few years. 1. Going digital – Digitization allows healthcare service providers to remodel a new business plan using digital tools technology to develop new products and services. This will help them revolutionize the process of patient care while engaging with them. 2. Cost savings – Mobility and IoT subsequently lowers the costs of care through effective use of healthcare management software and save logistics cost. Physicians can use real-time access across multiple channels and give appropriate advice to the patients. 3. Complexity is down to nil – It also aides physicians to store the health data of patients in a hassle-free manner. Further it streamlines the healthcare provider’s complexity by providing the patient history promptly whenever required to make quick patient decisions. 4. Patient satisfaction rises – Due to healthcare mobile application development offerings its helps physicians to be in touch of their patient. It forms a collaboration layer that ensures customer satisfaction through apps and wearable’s. 5. Social media influence – Social media in health care industry fosters a wellness supportive culture by leveraging the use and power of social interactions across various groups. In the end, we would like to say that appropriate use of mobility and IoT that includes devices and healthcare management software helps in overcoming the growing healthcare problems and the costs related to it. With IoT and mobility, professionals in the healthcare industry have real-time access to critical insights and actionable data. Therefore, at present and in future, IoT and mobility promises the healthcare industry of a cost effective and better-connected environment.